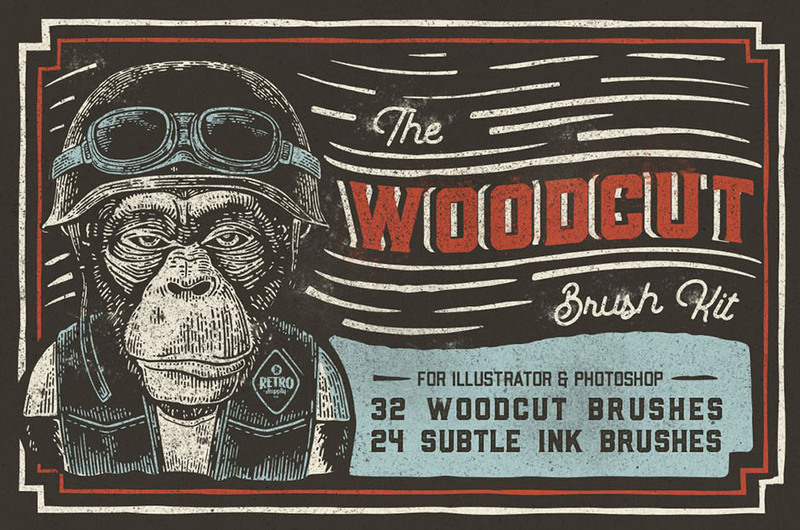 • 32 Woodcut brushes for Adobe Illustrator with tons of lengths and thicknesses to choose from. • 24 Subtle ink brushes for finishing touches in Adobe Photoshop (so your illustrations look 100% authentic). • Dead simple installation instructions and Woodcut Quick Reference Guide. Software compatibility:Adobe Illustrator CS6 or newer. File size is approx 24MB (29MB unzipped), offered as a single download. Quite nice one – the minus is that the brush strokes are not set to pressure – you need to change that by yourself. Also many of them looks very similar. But overall that is a good pack. Nice that as a bonus we got the dusty Photoshop pack. Our apologies for any disappointment caused by these brushes not being set to pressure, we want all of our community to love their resources so please feel free to reach out to us if you are at all unhappy with your purchase and we can certainly help! We hope that you are still having great fun taking these for a spin, and that you get lots of use out of these, happy designing!